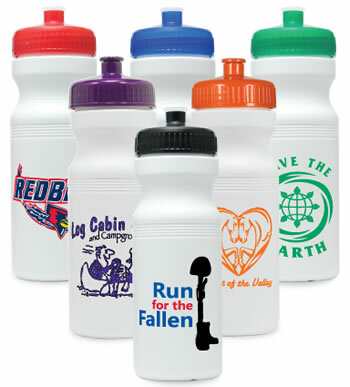 Sports bottles to keep your hydrated. 5-7 days after artwork is approved. Please keep in mind that these color swatches are Pantone® colors created with web color! Computer monitors can alter color perceptions. Please enter your text for your item. * Must be between 0 and 255 characters. Clipart to Include: * Must be between 0 and 255 characters.